Phantom Of The Opera comes to Cadillac Palace Theatre on Friday 23rd December 2016! 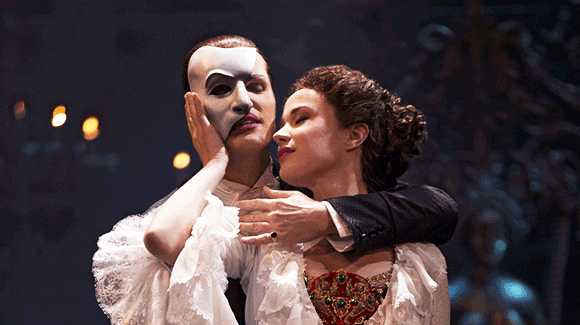 Get ready to experience the incredible classic in a Broadway production. The dark fantasy inspired love story between the beautiful Soprano vocalist, Christine and the man who hides behind the mask and the walls but his voice entices her and his obsession for her grows. Tickets are on sale NOW!